Whether it's because you're starting a family or want more room, it takes lots of thought to decide when to put your house on the market. Regardless of the property, no house can sell itself these days. Using a careless agent makes selling your home harder than it needs to be. 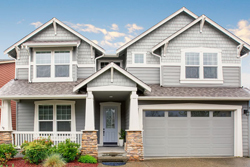 Look for an agent dedicated to pushing your house and garnering the best offer for you. Using my resources at Rosa Agency, I'm committed to providing a pleasant selling experience! Your home is my top selling priority, and I'll ensure it gets the attention it commands in all available portals, even nationally. Within hours, I can have your house on every agent’s radar in Kearny. I look at home values on a daily basis in Kearny and Kearny and I can help you figure out exactly what your home is worth and get the best offer possible. Your house will be in top condition for Open House events in Kearny. Your needs are my top concern and my priorities show it. I'm there when you need me — in person, by email, and even via text message. As a best-selling real estate agent in Kearny, I'll work to get the best price for your home and get it sold quickly. It's easy to select a random agent, but picking the best agent takes planning. Your interests stay at the forefront throughout the whole selling process. You’ll have my knowledge on your side. E-mail Rosa Agency at mcouto@iname.com or just call (201) 997-7860 x116. 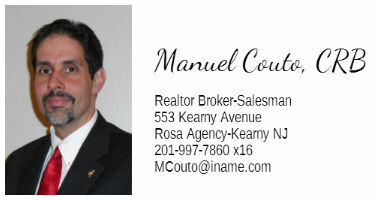 I’m always ready to answer any questions that you might have about selling in Kearny, New Jersey.